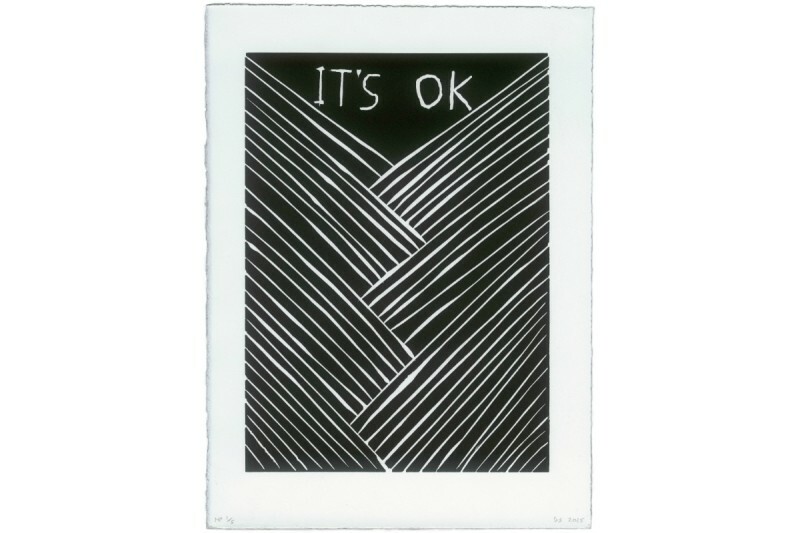 David Shrigley was born in 1968 in Macclesfield, UK. He is now based in Brighton, England. He is best known for his distinctive drawing style and works that make satirical comments on everyday situations and human interactions. His quick-witted drawings and hand-rendered texts are typically deadpan in their humour and reveal chance utterings like snippets of over-heard conversations. Reoccurring themes and thoughts pervade his story telling capturing child-like views of the world, the perspective of aliens and monsters or the compulsive habits of an eavesdropper shouting out loud. While drawing is at the centre of his practice, the artist also works across an extensive range of media including sculpture, large-scale installation, animation, painting, photography and music. 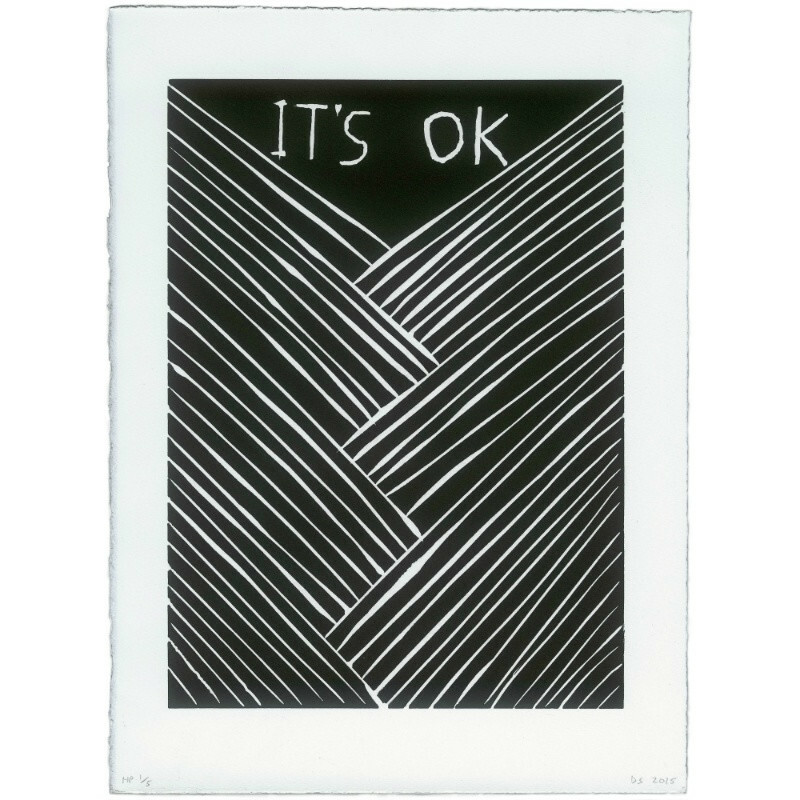 Shrigley consistently seeks to widen his public by operating frequently outside the gallery sphere such as in prolific artist publications and collaborative music projects. His digital animations such as ‘Headless Drummer' and ‘The Artist' demonstrate what Shrigley calls ‘the economy of telling stories', delivering a deftly crafted mix of dark and light through the simplest of forms. In his sculptural works that explore materials such as bronze and ceramic, the artist makes physical some of his more curious and eccentric propositions by transforming found objects or by playing with their scale. Taking Lewis Carroll's perspective of Wonderland, Shrigley enlarges objects and imbues them with curious proportions.